iOS 5, iCloud Launching October 10th? 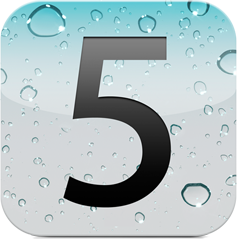 iOS 5 is currently in its seventh beta release, with the eighth expected to launch Friday. That should be the final round before Apple goes forward with the “Gold Master” operating system release. When will consumers be able to get their hands on said release? A recent memo directed toward AppleCare support staff seems to indicate that iOS 5 is less than a month away. Apple has reportedly informed its AppleCare division to expect an influx of iOS-related inquiries from customers beginning Monday, Oct. 10, perhaps signaling when the company plans to release iOS 5 to existing device owners. For instance, one person familiar with the matter said his local AppleCare call center has been told to expect an eightfold increase in customer calls on that day, and that staff are being advised ahead of time for the increased traffic. The person could not say with any certainty what will be released on that Monday, but noted that the increase in call volume is related to iOS. This led them to speculate that Apple could release iOS 5 and iCloud on Oct. 10.
iOS 5 is expected to launch alongside iCloud and iTunes Match.